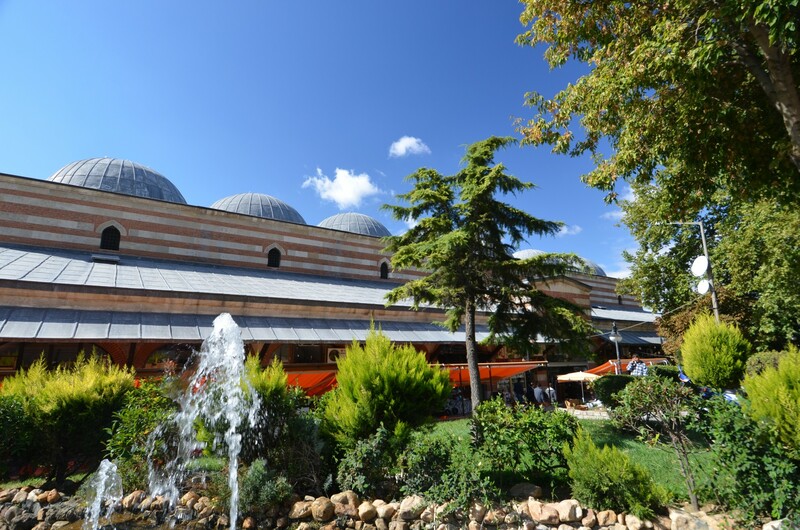 The Bedesten is the oldest of Edirne historical bazaars as it dates back to 1418. The founder of its construction was Sultan Mehmet I who had it built immediately after the completion of the Old Mosque. 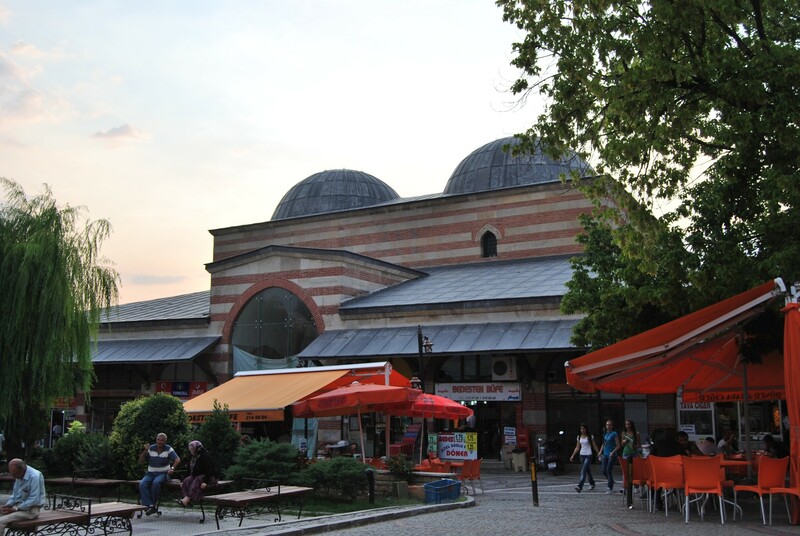 The covered market was to serve as a source of income for the mosque as a part of the vakıf - a religious foundation - to provide the upkeep of the mosque and salaries of its staff. It is an excellent moment to take a closer look at the idea of a bedesten. 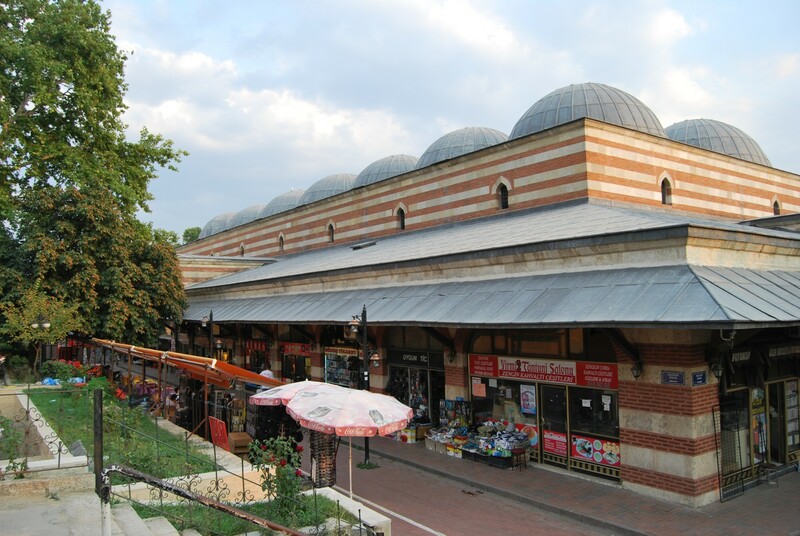 There are three historical covered bazaars in Edirne but only one of them - the one near the Old Mosque - is referred to as 'the Bedesten'. Bedestens were built in the Ottoman Empire as fortified covered markets, where traders of precious and luxury goods had their stalls and shops guarded by watchmen day and night. Bedestens were central buildings of the commercial quarters of cities. They played such an essential role that in the Ottoman times the cities were often classified into two categories: cities with a bedesten and cities without a bedesten. The Bedesten in Edirne was built by Mimar (Architect) Alaeddin. Its walls are of red and white ashlar stones. The bazaar comprises of 36 rooms for merchants, located along two streets inside the building, and a row of shops around the outside. The structure is covered by 14 domes, placed in two rows of seven domes each. In the times of the Ottoman Empire, the most valuable goods were sold there, including gold, jewellery, weapons, and carpets. Lady Mary Wortley Montagu, who lived in Edirne in 1717, described the building in the following words: "The Bedesten near it [Ali Pasha Bazaar] is another exchange, built upon pillars, where all sorts of horse furniture is sold; glittering everywhere with gold, rich embroidery and jewels it makes very agreeable show." Edirne developed economically in the 15th century because of the revival of trade in the eastern Mediterranean. Wheat, barley, maize and other agricultural staples were among the products shipped to Edirne from Egypt, the islands, of the Aegean Sea, Izmir, and other western Anatolian cities. They were transported by the sea to the harbour of Enez, loaded into smaller barges and ships, and sent up Maritsa (Meriç) River to Edirne. Moreover, the caravans of the traders from Persia arrived with their goods to Edirne, sold their merchandise and bought local products, and continued their journey to the Balkans. Goods from Europe also found their way to Edirne bazaar, and the European merchants returned home with beeswax and leather products, silks from Bursa and wool from Ereğli. Nowadays, the former glory of the Bedesten is gone, and many visitors complain about poor quality of cheap imported products offered there. However, it is still worth a visit to admire its architecture and ponder upon its marvellous past. The Bedesten is located on Talat Paşa Caddesi Street, in the immediate vicinity of Old Mosque. The distance from Selimiye Mosque to the Bedesten is 650 meters in the south-western direction.